Middle School of Arts and Technology | W.E.B. 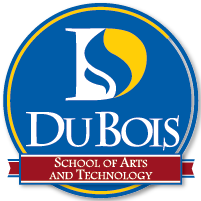 DuBois Consortium of Charter Schools, Inc.
Du Bois schools use theme-based, interdisciplinary, integrated curricula to facilitate instruction and learning. A combination of tightly-controlled behavioral studies and groundbreaking neurological research supports theme-based education as a means to improve the opportunities for success for all learners. A review of research reveals that the principles of self-determination, self-reliance, self-respect, and individual initiative inherent in theme-based education strengthen connections to academic competencies. It makes strong contributions to students’ language abilities and reasoning skills through developing decoding and interpreting skills in symbol systems other than conventional linguistic ones. Pedagogy draws clear connections that students’ prior knowledge, with contexts outside of the classroom, and cultural perspective make learning more significant. Below you will find our 2018-2019 School Improvement Plan (SIP), Parent & Family Engagement Plan, Parent Compact and Parent’s Right to Know forms.